Patrick De’mon Peterson Jr. was born on the 11th of July 1990 in Fort Lauderdale, Florida. He comes from a family of four which includes dad, Patrick, and mom Shandra Peterson. He has a younger brother named Avery. Peterson had his high school education at Blanche Ely High School in Pompano Beach, Florida where he was a multi-sport athlete lettering in football and sprint. As a football player, he played both as a defensive back and a running back, posting the type of stats that showed he was destined for greatness. In his senior year (2007), he totaled 21 tackles and five interceptions as a defensive back, adding 733 yards rushing and 11 touchdowns as a running back. He received several honors as a result, including USA Today Defensive Player of the Year, Parade and USA Today All-America team honors, etc. Peterson was also selected for the 2008 U.S. Army All-American Bowl and was one of the six finalists for the U.S. Army Player of the Year Award. For his college education, Patrick Peterson picked the Louisiana State University (LSU) out of the several colleges which courted him. At LSU, he did not hesitate in showing what he was made of. In his first season, he took part in all 14 games and recorded a total of 41 tackles, one interception, three passes defensed, a forced fumble, and a QB hurry as the Tigers defeated Georgia Tech to win the Chick-fil-A Bowl. Patrick Peterson continued his impressive form for the next two seasons. In a total of 39 games (30 starts) for LSU, he amassed 135 tackles, seven interceptions, 22 passes defensed, a forced fumble, and a fumble recovery. His career at LSU finished on a high note as he won several awards. They include the Bednarik Award (nation’s top defender) and the Thorpe Award (nation’s top defensive back). Patrick Peterson became the first LSU player to win either award and was also a unanimous first-team All-American selection. 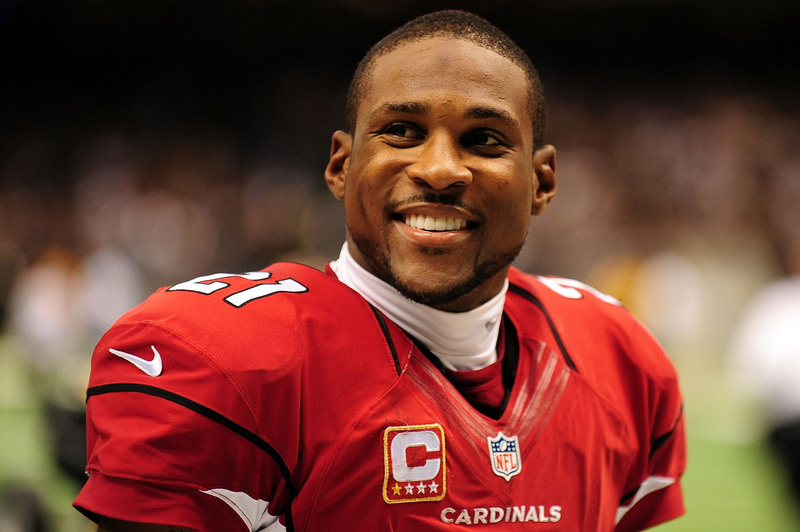 Patrick Peterson forwent his final year of college football and entered the 2011 NFL draft. He was picked in the first round by the Arizona Cardinals and was the fifth overall pick of the year as well as the first cornerback to be selected in that year’s draft. Since joining the Cardinals, the elite cornerback has consistently been impressive and has gone on to create several league and franchise records. In seven seasons with the Cardinals (2011 to 2017), Peterson has never missed a single game, taking part in 112 games and starting all of them. In these 112 games, he has recorded 322 tackles, 21 interceptions (one returned for a touchdown), two sacks, 97 passes defensed, a forced fumble, and two fumble recoveries. In his rookie season, Peterson returned four punts for 699 punt return yards and four touchdowns, becoming just the fourth player in league history to return four punts for touchdowns in a single season. He also became just the second rookie in NFL history with four punt return touchdowns during their inaugural season. Peterson has also been voted to the Pro Bowl in each of his first seven seasons with the Cardinals. He joins Hall of Famers, Jim Brown and Barry Sanders, as the only players in NFL history to be chosen to seven Pro Bowls before their 28th birthday. Peterson has also earned first-team All-Pro honors on three occasions (2011, 2013 and 2015), cementing his reputation as one of the best players in the league. Patrick Peterson’s net worth is currently fixed at $10 million. His major source of income has been his career earnings since joining the NFL in 2011 and it stands at $74,770,000. Peterson is currently on a five-year deal worth $70 million. The contract, which was signed in 2014, makes him one of the highest paid cornerbacks in the league. Asides from his heroics on the field of play, Peterson is also renowned for his philanthropic work. He has a foundation named the Patrick Peterson Foundation for Success. The foundation raises money to promote literacy; providing books and resources for underprivileged children in Arizona. In recognition of his charity work, he has been nominated by his team for the Walter Payton Man of the Year Award on two occasions – 2015 and 2017. 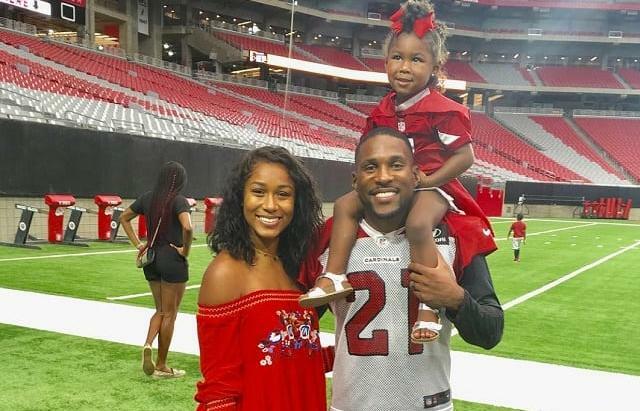 Patrick Peterson is married to his college sweetheart, Antonique Larry Peterson. She is a medical doctor and they both started dating while at LSU. Peterson and Larry tied the knot in June 2012. They have a child together, a daughter named Paityn Antonique Peterson who was born in November 2015. Patrick Peterson is 6 feet 1 inch tall and weighs 203 lb (92 kg). He has an arm length of 32 inches and a hand size of 9 1⁄4 inches.